Teaching Chinese Martial Studies and Talking about Martial Arts in the Classroom. Popular image of a traditional Chinese Confucian school. By my count we are in the third era of “Chinese Martial Studies.” The first was spearheaded by Tang Hao and ran from the early 20th century to WWII. The scholars interested in the martial arts were mostly from China and Japan (though there were a few notable exceptions) and most of the work that was done was distinctly historical in nature. WWII, the Korean War and the Vietnam War exposed a huge number of American youth to the Asian martial arts. Two of these, Donn F. Draeger and R. W. Smith helped to create the field of hoplology, starting the second major period of interest in Chinese martial studies. Their approach tended to be more anthropological and sociological. They followed the ethos of the participant observer and asked important questions about the role of fighting culture and technology within the broader social frameworks of China and Japan. Anthropologists have most consistently promoted this line of research, but the broader experiment of hoplology has not been a resounding success. By the late 1980s, little serious academic research on the Asian martial arts was being done in either the humanities or the social sciences. Yet just as these older lines of inquiry began to recede a new approach to martial studies has moved to the fore. The current literature is methodologically diverse and appears to be more broadly based than either of the two previous incarnations. Scholars who work on a number of different issues are starting to make contributions to the literature. Still, it is not clear that the future of our topic is secure. There is not a lot of funding to support Chinese martial studies (which is odd given the high level of concern regarding China’s military expansion in Washington), and the audience for articles, conference papers and books is pretty small. I think that the answer to this dilemma lays not so much in the realm of writing (though how we frame our research is important), but instead in our teaching. If you look at the previous two eras of the literature, interesting scholarly writing was produced. There is no doubt about the originality and quality of a lot of this work. Nevertheless, these scholars failed to create both a general demand for their work and a cadre of students that were capable of carrying it forward. Our goal should be to ensure that at least one class dealing with the martial arts is available to undergraduate students in both the humanities and the social sciences at every major research university with a strong Asian studies program. This goal is not nearly as audacious as it sounds. Martial studies is an area with strong student interest and classes, especially at the upper levels, would fill quickly. Full classes mean increased student credit hours and there is not a department chair or dean who is not in favor of that. Additionally, martial studies, in its current incarnation, is such a broad topic that there are probably a wide number of existing classes that could be adapted, or units that could be slightly modified, to make this focus more explicit. The first step might actually be as simple as reading through the university or college catalog and seeing what is already offered. 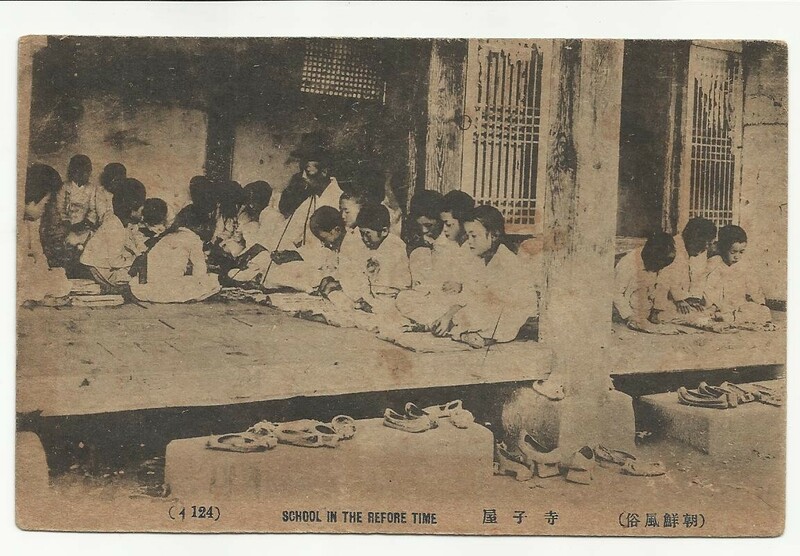 Vintage image of a traditional Korean school. Lastly, if you are thinking about offering a class or unit that focused on the Asian martial arts you should be aware that you are not alone. Other professors have done this in the past, usually with good results. There are even some impressive models out there that could be followed. In fact, I would like to introduce one of them right now. T. J. Hinrich is an associate professor in the history department at Cornell. Most of her research and teaching focuses on the history of traditional Chinese medicine. This is an area that generates a fair amount of popular interest, and it is conceptually distinct from the martial arts. Yet there is an undeniable overlap between the two. This has allowed her to develop her course HIST 2960, The History of East Asian Martial Arts. She posts her syllabi on her webpage and its well worth taking a look at her reading list for this course. I saw many of my favorite texts and even a couple of new things. Prof. Hinrich’s course has a substantial reading load (as one would expect for Cornell) yet she reports that her students are enthusiastic about the subject and the materials. Enrollment has varied depending on room size and time of day (variables that I am sure we are all familiar with) but when the stars are aligned she has no trouble pulling in over forty students. Her department is happy to offer the course and she gives her students a unique vantage point to understand the evolution of popular culture in Asia. Obviously there are a number of different ways of handling a course like this. I myself am not in the humanities. Rather I am a social scientist. Right now I am kicking around an idea for a course that would examine the nature of global cultural and economic exchange by focusing on the evolution of the Asian martial arts in the modern period. It would probably be titled something like “Globalization, Identity and the Asian Martial Arts.” Given my background as a political economist I could use the martial arts to illustrate exactly what the process of globalization actually looks like in terms of both trade (economic exchange) and cultural borrowing. My father is an anthropologist who occasionally works on Asian topics. Earlier this weekend I asked him how he might handle a class on the martial arts. He proposed a senior research seminar in ethnographic methods. In his model students would attend classroom discussions during the week that reviewed field research methods and ethnographic analysis. They would then be required to join a local martial arts club or class for the semester that they would then attempt to analyze using their newly acquired theoretical skills. Turning a dozen apprentice anthropologists loose on the martial arts community might be sort of a shock to the local Sifus, but his idea sounds fascinating. I would love to take a class like this. Enough material exists that classes could be targeted and structured in different ways. Social scientists, who are enamored of the comparative method, might prefer to structure their classes around a handful of central questions that are then applied to three or four different case studies (for instance, martial arts communities in Japan, China, Korea and the US). Someone in the humanities might instead decide to go deep, focusing on a single topic, the image of the martial arts in Japanese cinema, or role of swordsmen novels in the Chinese discussions of nationalism, in an attempt to leverage their understanding. In truth any of these approaches would work. What is vital in any of them is that we introduce our students to the core arguments and authors of the literature, and try to instill a passion for the subject matter. This is one of the reasons why I really like Prof. Hinrich’s reading list and suggest that anyone considering a class on this topic think about what she did. By the time a student has finished a semester of reading and discussion with her there is no doubt that they will know all of the major names in the field, and will be familiar with the major arguments in the literature. This is a great survey course precisely because it gives undergraduates the sorts of theoretical tools that they need to go out and do some really interesting research for that final project or senior seminar. Obviously everyone’s reading list will look a little different, especially if you are coming at this from the perspective of history or political science or anthropology. But there are a group of core authors that I feel should be there for anyone. Who they are, and what sorts of conversations hold our field together, are precisely the issues that need to be carefully considered when designing a class. Lastly, it may not always be necessary to dedicate an entire class to this subject. Very often a well-placed unit can open eyes and inspire interest. In a class that I occasionally teach on religion and politics I switched some things around last year and added a unit on the evolution of modern Qigong and its relationship with the Communist Party in mainland China today. My students were captivated by the topic, it was a great example of the central themes of the course, and a number of people went on to write research papers on the subject. This is an easy way to promote the field of Chinese martial studies without having to submit a new class or make a proposal to the curriculum committee. 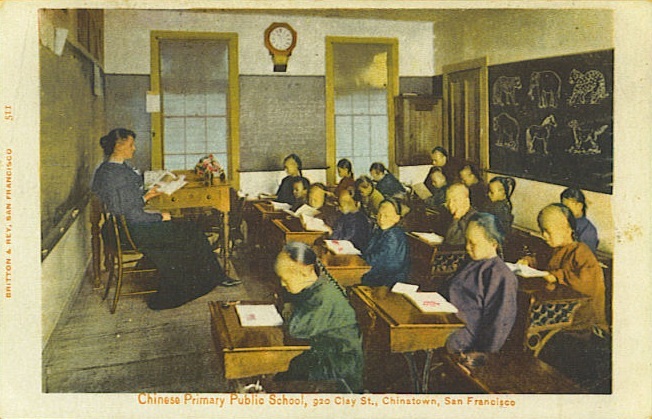 Chinese American students in San Francisco.